Want to Adopt A Ferret? Need A Shelter? The Ferret Shelters Directory is a worldwide, self-listing, searchable database of sanctuaries, humane organizations, individuals, and businesses that rescue and adopt out pet ferrets. It includes ferret only shelters and sanctuaries; state and local animal shelters and societies; municipal animal control facilities; veterinarians, pet stores and breeders as well as individuals and others that operate rescue networks. Many of these groups offer information and will help answer care or behavioral questions – preventing pet abandonment. Find out more under About This Site. Ferret Supplies Shopping? Shelters Can Offer a “SAFR” Alternative! 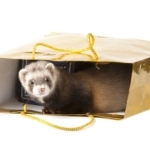 This Directory also offers ferret lovers a searchable Shopping Portal: Shop-A-Ferret-Rescue. 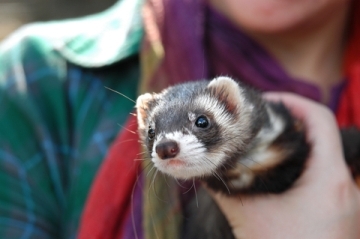 SAFR helps you find shelters that hand-make or resell a variety of ferret products to support their mission. Some have internet or physical stores, but finding their shops can be difficult as they cannot afford to advertise. Shop-A-Ferret-Rescue gives you the links to identify which organizations offer what product lines. Find out more under Shopping. Support Two Shelters With One Purchase! 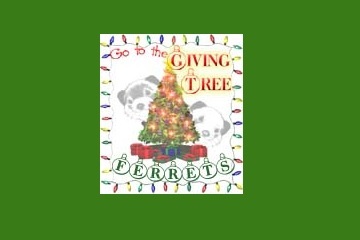 Here’s a link to this year’s Ferret Giving Tree. The Giving Tree lists special shelter ferrets from around the US and their special holiday requests: toys, bedding and other useful shelter gifts. 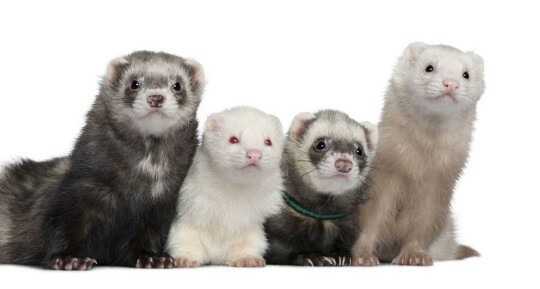 Please head over, find a ferret to support, then return here to buy it from a different shelter. Have it gift shipped direct on your behalf. Talk about a win/win for needy ferrets! 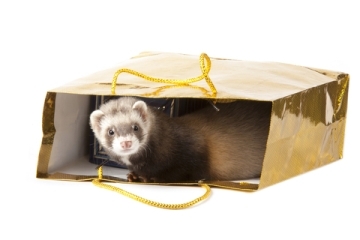 One shelter’s ferret gets your gift and another shelter gets the benefit of your purchase. YOU get two happy dookers instead of one! Last year there were over 200 ferrets on the Giving Tree in over 35 shelters caring for over 1000 ferrets; and about 30 shelters listed here offer items for sale that support work. Please consider shopping at one or several of them and helping one or more ferrets on the Giving Tree. Remember, if YOU have ferrets, Shop-A-Rescue year round!